(VEN) - Bac Ninh Industry Promotion Center Director Tran Van Hien said that the province has effectively supported local industrial bases in equipment renovation, production expansion, product quality improvement and market enlargement. One of the center’s most prominent achievements in industry promotion has been support in upgrading equipment to increase production and trade values provided for local industrial bases. Last year, the center supported 13 local industrial bases which have so far successfully improved production capacity, product quality and worker incomes while reducing production costs and environmental pollution. 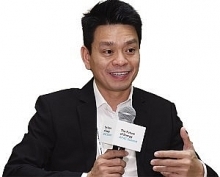 Small and medium-sized enterprises which have benefited the most from industry promotion programs are increasing and have gradually participated in foreign direct investment-based production value chains, Hien said. 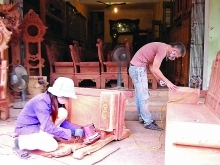 As part of local industry promotion programs, the center has also provided business start-up courses for inpiduals and organizations in Gia Binh and Yen Phong districts, attracting about 120 participants. However, in addition to achievements, the center has failed to make the best choices in some industry promotion cases as well as regularly conduct industry promotion implementation assessment, Hien said. The major cause for the failures was due to limited industry promotion funding which was regarded as too low to attract local industrial bases into intensive production and equipment upgrading. This year, the center targets to support 15 local industrial bases to renovate production equipment, organize five business start-up courses and focus more on support industrial product market expansion. To hit the targets, the center has encouraged domestic and foreign investors to fund provincial industry promotion programs, especially industrial bases operating in local industrial parks and clusters that play a key role in the province’s rural industrial production development. Moreover, it will promote production and trade links among businesses and provide investors with assistance in the implementation of industry promotion projects. 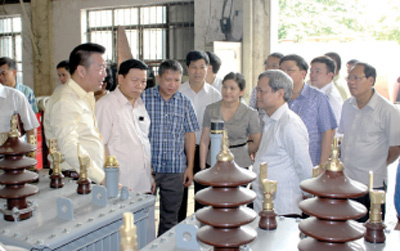 This year the Bac Ninh Industry Promotion Center will focus on providing industrial development consultancy and vocational training for those businesses who are engaged in the production of electronic, mechanical and plastic parts and components and packaging at the request of multinational corporations like Samsung, Canon and Nokia.